Very common reader for all military members about the ancient Chinese commander, Sun Tzu. 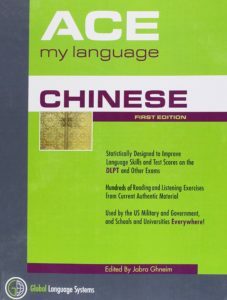 Ideal for students who already have a foundation in Mandarin Chinese, ACE My Language Mandarin is designed for those who want to dramatically improve their acquisition and retention, as well as their performance on standardized tests, including the DLPT. This text features hundreds of questions, 150 high quality articles, and over six hours of audio.